This Beowulf infographic outlines the seven characteristics of being a hero. 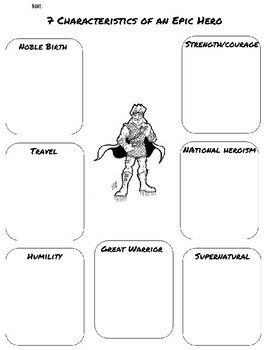 It's a great tool to use when having students study the stages of a monomyth as well as characteristics of a hero while reading Beowulf! Available in a PDF format. Will be working on uploading this as a Microsoft Word document in the future!